This topic is of interest for: anyone who wants to expand their network; for those who feel a bit uncomfortable about doing " the networking thing"; those who tell themselves they should be doing it but end up doing anything but that; those who wonder how to better manage internal stakeholders. Demystify "networking" and lower the barriers to practice, have fun with it. You will create your individual network map and identify areas for network tightening. 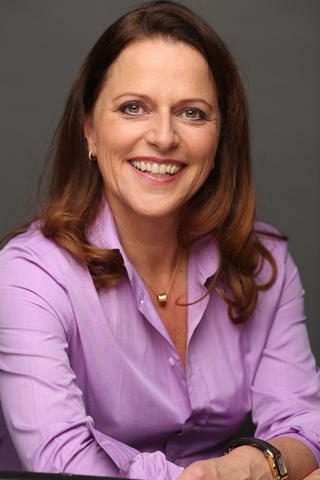 Esther is an experienced certified professional co-active coach in the Lake Geneva region in Switzerland and an accredited member (PCC) of the International Coach Federation (ICF). She is specialized in Women Leadership Development, Team Development and Career Transition. Since 2011 she has been working with leaders in supporting their professional and personal growth, namely their transition to a more complex role, as well as facilitating behavior change towards their desired managerial style in order to achieve greater effectiveness, higher level of self awareness and self-confidence, and lower stress levels. Prior to becoming a trained coach in 2009, Esther has a successful 20 year career as global marketing executive within several Fortune 200 corporations and small start-up environments, in the FMCG/Consumer Goods sector (Colgate-Palmolive; Clairol; Procter & Gamble), in Health Care (Novartis OTC) and the New Media industry (Agency.com). She is an experienced global leader of multi-functional and multi-cultural teams and has worked in complex matrix structures of multinational corporations, in Europe and the USA.